This month’s CEO’s report closes out the 2015 year with more-or-less final financial and ridership numbers. For the full year, farebox revenue is down by 2.8% relative to budget although one-time income offset this slightly for an overall shortfall of 2.3%. Expenses were 0.9% below budget, but actual operating results were actually better than this. Of the $14.8 million shortfall, $5.2m was due to the acceleration of a “capital from current” payment for new buses that was originally planned for the 2016 budget year. Notwithstanding the lower-than-anticipated revenue and the accelerated capital spending, the operating subsidy required in 2015 was $10.1m below budget. Originally, the TTC had planned on a $9m draw from the city’s transit stabilization reserve fund, but this is not actually needed to balance the books. A $32.4m shortfall in fare revenue partly offset by a $4.4m payment by a supplier in settlement of a defective parts claim. This type of revenue is a one-time event and cannot be counted on in future years. Non-labour expenses (supplies and services) were $15.4m below budget. Energy costs came in $7.1m (hydro and utilities) and $4.5m (diesel fuel) below budget. Leasing expenses were $6.1m below budget because planned leases of garage and warehousing space did not occur in 2015. A further $10.2m arose from savings in other areas including employee benefits. The accelerated capital-from-current payment of $5.2m. Accident claims were $13.5m above budget. Overages in other lines came to about $3.3m. Indeed, most lines in the expense statement were below budget levels, but this was substantially offset by the capital payment and accident/claims cost. Some of the savings in 2015 were incorporated as new base values in the 2016 budget (the Non-Labour line was cut by $10m). While this reduces the budgetary call for subsidy or fares in 2016, it also eliminates “padding” that could offset shortfalls in other aspects of the 2016 results. The TTC has not yet published a full accounting of the extraordinary costs and revenues related to the Pan Am Games. About 4 million free rides were carried for that period, but this cannot be directly related to operating costs or fare revenue because extra service benefited all riders. Ridership results for early 2016 are the subject of a separate report in which TTC management now predicts a considerably lower ridership and fare revenue for 2016 than was budgeted. When the 2016 budget was passed by the Board, the original target of 555 million rides was considered to be an aggressive goal. As we know from ridership tracking published in the February 2016 CEO’s report, the numbers were tracking below 2014 levels from May 2015 onward. This was initially blamed on bad weather in the 2014/15 winter, but the drop continued throughout 2015 and into 2016. The drop in February 2016 counts is particularly troubling because this winter was considerably milder than in 2015. “Winter” does not fully explain what is going on. It is not unusual for the TTC to “aim high” on its ridership projections as this inflates projected fare revenue while lowering the subsidy request from the City. As long as ridership is strong and expenses come in under budget, the TTC has headroom within which to absorb unexpected bad results, or even provide for modest growth. However, with cuts imposed by the City, that headroom has vanished and a ridership shortfall versus budget is bad news indeed. This is compounded in 2016 by ridership coming in lower than 2015 actuals, never mind the optimistic budget projections. One factor used in TTC ridership estimates is the state of the economy and the rate of employment growth. This figure remains positive, although at a lower value now (1.0%) versus May 2015 (2.5%). In other words, if ridership falls despite job growth, the TTC is not staying “ahead of the curve”. A related issue, however, is that over half of all TTC trips are now outside the peak period, and many of these are not work trips. Even if employment-related travel is rising, this could be offset by a decline in other transit market segments that are more sensitive to other factors such as lower fuel prices. Ridership declines were reported by other GTHA agencies, although the amounts varied. GO Transit was up by 0.9% in 2015, but this could be a combination of new riding from service expansion offset by a general decline elsewhere. GO has not yet published detailed ridership numbers for its 2015-16 budget year. Riding is also down on major Canadian transit systems. This implies that the change cannot be attributed strictly to local effects. Whether it is a broad trend, or will reverse in time, remains to be seen. Metropass sales have been down in 2014, and then to a greater extent in 2015. This has an effect that shows the problem of averaging in reporting of “ridership”. A pass is sold for the equivalent of 49 fares, but the average usage of a pass is 73 trips/month. The most likely “lost customer” for passes will be someone for whom the increase in pass costs in 2014/15 pushed them “over the line” and back to token fares because they no longer saw the pass as a “good deal”. Such a passenger was probably only taking in the mid-50s of trips per month, but they are counted as a loss of 73 trips per month. With half of the total “rides” being by Metropass, the link between revenue dollars and trips is not as straightforward as with everyone paying by cash or token. Even a passholder will vary their usage from month to month depending on circumstances, but as long as the pass represents a lower cost and higher convenience, they will not switch back to single fare media. This will become even more challenging for the statisticians with the rollout of Presto and possible new fare structures including equivalent-to-pass functionality such as capping of trip charges per day or per week, or the implementation of the two-hour transfer creating a limited-time equivalent of a pass. The basic question the TTC should be addressing is “are the buses full” because fare-based counts will become less and less meaningful. Presto can provide some data in that regard, but the basic observation and management of service crowding do not require advanced technology, only the will to acknowledge what is happening on the street. TTC service goals have always been “subject to budget availability”, but the degree to which service falls short on this account is rarely reported. One response to the 2016 fall in ridership could well be a freeze on service improvements. Riders packed on overcrowded vehicles might be forgiven for thinking that the TTC’s priorities do not extend to them despite all the fine words about service and customer focus. The drop in fare revenue is projected to be about $30m over the course of 2016. As mentioned above, some of the “padding” was taken out of the 2016 budget, and City Council arbitrarily cut the TTC’s subsidy by $5m leaving it up to the transit system to figure out where this might be saved. This is the same Council whose Mayor trumpets $50m in new funding for TTC service when in fact the City’s subsidy has only gone up by about $20m from $473.7m in 2015 to $493.6m in 2016. • A review of action that can be taken to ensure only children age 12 and under are riding free. This list does not address much more fundamental structural problems with the TTC’s budget that will appear in 2017 and beyond as the cost of the Vaughan subway extension builds into the cost base. As more riders are carried long distances, possibly with some sort of integrated regional fare, the cost per rider will go up. Any further shift to pass-like pricing (any form of interval-based capping) could increase “riding” counts, but not necessarily with a comparable increase in revenue. The statement above has no place in a CEO’s report because it is a political interpretation, not a management review or plan. Indeed, Council might have “invested” in the TTC, but as noted above they have clawed back some of this with a subsidy increase below the level needed to fund the extra service they claim to support. It is all very well for politicians at Council to be be tax fighters on one hand, and giveaway artists with selected fare freezes or cuts on the other, but at the end of the day somebody has to pay to operate the transit system and provide service. Blaming riders for not using the system enough and threatening service cuts while overcrowding remains a problem on many routes is completely the wrong way to address this problem. Service on the Yonge-University subway (Line 1) improved in 2015 over 2014 with both the number of delays and the minutes of delays declining. Meanwhile, on Bloor-Danforth (Line 2), the number of delays went up substantially with the only good news being that the delay minutes went down (in others words, more delays, but shorter). For both lines, the trains/hour through the peak point continues to lie below the scheduled level begging the obvious question of which factors contribute to this situation and how reliably the target level of about 25.5 can be achieved. In all of the discussion about subway capacity, the matter of this consistent shortfall in scheduled versus actual service has not been addressed. On the streetcar system, “on time performance” continues to improve reaching 40% in January 2016. The problem with this figure is that it measures only service at terminals, and then within a margin of error of six minutes which makes gapping and bunching acceptable within the scoring system for frequent routes. There is no measure of headway reliability which, as shown in analyses elsewhere on this site, can be quite erratic. The number of short turns in January 2016 has dropped to less than 25% of its value a year ago, and this is certainly good news for streetcar riders. As for the bus network, on time departures sit at 74.3% for January, only slightly better than in 2015, and short turns are down about 10% from last year. However, these numbers are “spiky” and vary month to month. Whether there will be a sustained improvement remains to be seen. Equipment reliability presented a mixed bag of results for January. The new TR fleet on the YUS fell about 40% in its mean kilometres between delays (MKBD) for January by about 40% relative to December 2015 after a long climb throughout the past year. This value is just at the TTC’s target for reliability, but it is not clear whether this is a one-time drop from which the fleet has already recovered, or if for some reason the high numbers achieved in lte 2015 could not be sustained. Meanwhile on BD, the T1 fleet reliability has been running at a consistent level for the three months since November 2015, an improvement over the winter 2014/15 numbers. This could be a weather-related improvement, and future months will show whether this can be sustained. The data for 2015 include two big spikes in performance in July and especially in October. July could be understood as the result of pro-active maintenance in advance of the Pan Am Games, but October is an outlier. Reliability for the CLRV and ALRV fleets fell in January back to levels of a year ago. Difficulties with these cars are attributed to a shortage of parts, but that does not explain in service failure rates, only an inability to maintain and repair the fleet. These cars suffer from well-publicized problems in cold weather that were supposed to have been addressed by advance maintenance in fall 2015. The benefit is not reflected in actual performance for January 2016, although this could be due to other factors. The bus fleet’s reliability increased through the second half of 2015, but dropped in January 2016. This is put down to bad weather, a rationale that oddly was not applied to other fleets that experienced a similar drop. The TTC proposes to undertake considerable work on the CLRV and ALRV streetcar fleets with the cost to be recovered through the “liquidated damages” claim against Bombardier for late delivery of the Flexity fleet. The non-overhauled CLRVs and ALRVs will see refurbishment of critical systems at a cost of $25m. The Flexity contract has been through various changes in the proposed delivery schedule. As of March 17, 2016, 18 cars have been produced of which 16 are in service, 1 is a prototype used for training (4401) and 1 is a prototype at Thunder Bay for retrofits (4402). The work is expected to allow reliability of the CLRV and ALRV fleets to remain at the target reliability levels for these fleets. Some work will be carried out at Greenwood Shops but most will be done at the Harvey Shops at Hillcrest. As well as making up for Bombardier’s late deliveries, this will enhance the ability of part of the old streetcar fleet to survive until a follow-up order of new cars can be delivered in the early 2020s. 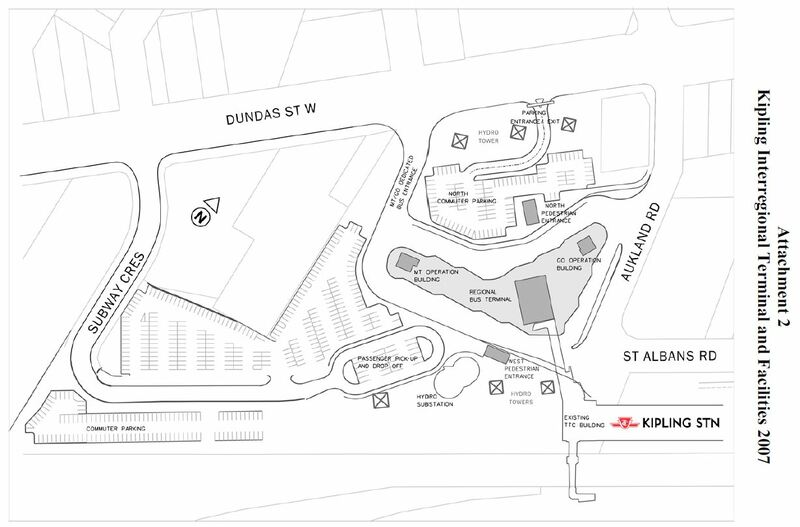 Concurrent upgrades to Kipling Station include accessibility provisions at the north parking/drop off and at the south entrance (Kipling GO). The final complex will be fully accessible between its components (TTC, MiWay, GO bus and rail, and parking). The project is expected to go to tender in fall 2016. The cost is primarily to be funded by the Province of Ontario with a contribution of $5.5m from the City of Mississauga. The original site proposed for the new terminal lies on Hydro lands, and this was unacceptable to the utility. 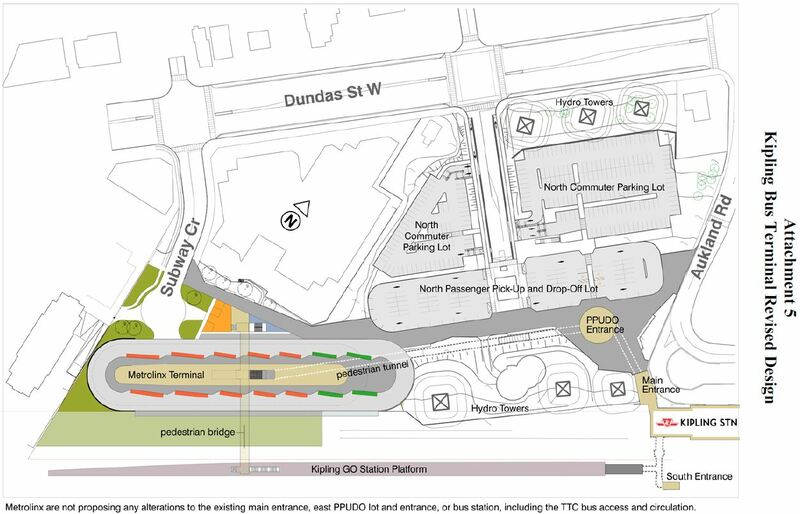 Two new options were proposed that shifted the Metrolinx terminal south and west adjacent to Kipling GO station. The primary difference between the two options is the layout of Acorn Avenue and the surrounding parking lots. 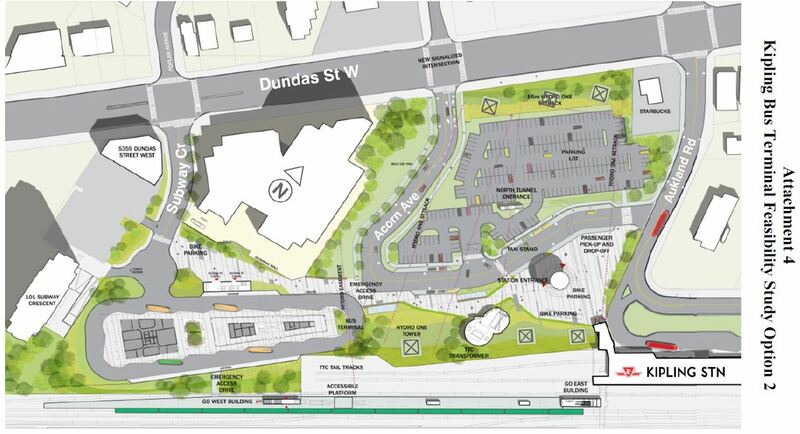 Metrolinx favours option 1 and has subsequently modified its terminal design. Another critical factor in this process was that the TTC does not want to give up any parking because this represents lost revenue and ridership. 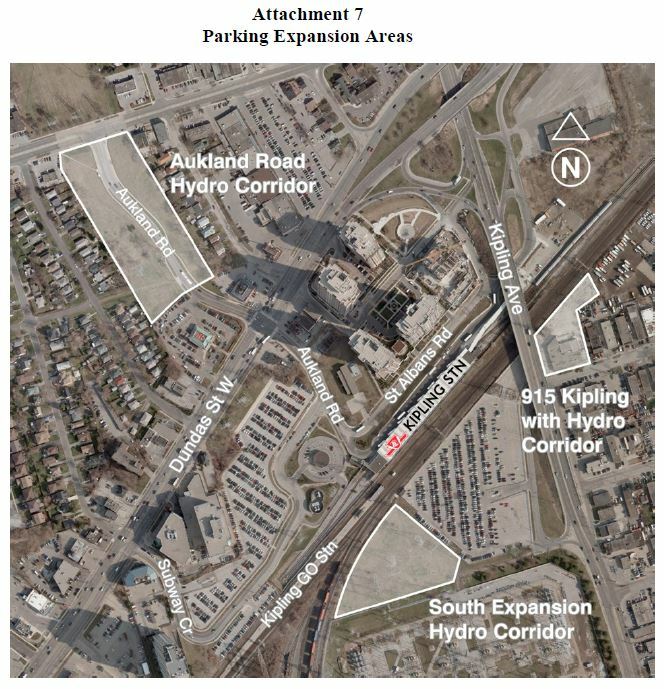 Moreover, the new parking layout will result in an increased fee to Hydro One for the use of their land. 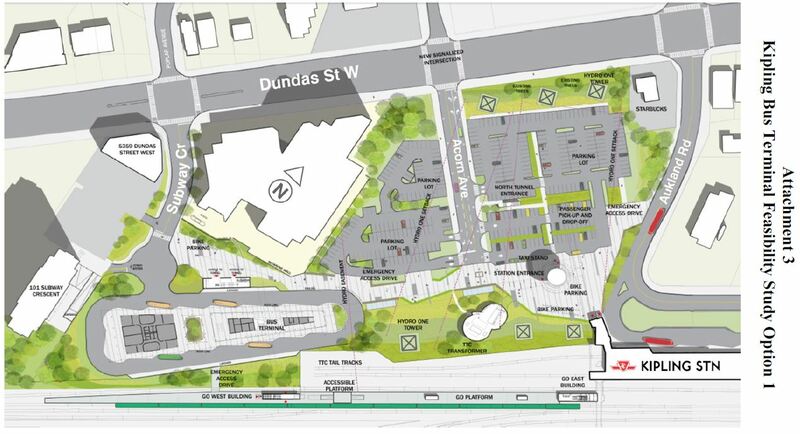 To compensate for this, Metrolinx proposes to slightly expand the total available parking so that the extra revenue (assuming good utilization) will offset the cost of the extra Hydro lands. The location of the new parking areas are shown in the aerial view below. At the February meeting, the TTC Board asked staff to report on the work they were doing in support of the revised Scarborough Subway project (SSE). A single 10.5m wide tunnel. The single tunnel option would allow crossovers to be built within the bored tunnel structure, but would not have room for station platforms. Although McCowan appears to be the favoured corridor, the TTC will also study the SRT, Brimley and Midland corridors again. The report is silent on the matter of additional stops, especially one at Lawrence East. A significant issue for the SSE is the eventual configuration of SmartTrack (or whatever the enhanced service in the GO corridor ends up being called). In one of the two ST configurations still under study, stations at Lawrence East, Ellesmere and at Finch East have disappeared. Together with planned headways about 50% wider than the 5′ originally claimed for ST, and with fewer stations, the demand distribution between the subway and ST is bound to shift. This has not yet been addressed. To date, about $14m has been spent on the SSE project, but for the next few months, the TTC will only provide support for City Planning’s work in finalizing a corridor choice. This decision will go to the TTC Board and Council in June 2016, after which detailed design work will resume. This entry was posted in A Grand Plan, Buses, Finance, Streetcars, Subway Cars, Transit. Bookmark the permalink. City studies have shown an increase in cycling as a result of the Richmond / Adelaide and Wellesley / Harbord cycle tracks. To what extent has the increase in cycling affected TTC ridership? Steve: I have not heard anything reported on this. My guess based on the volumes I see is “not very much” if only because there is a backlog of demand. I’m glad to finally see the Interregional terminal finally moving ahead…but wow, is that ever going to be a long walk* from the terminal to the station. I don’t see anything in the diagrams that indicates elevators but presumably the overhead bridge and the tunnel would have them. *and I say this as someone who gets off my EB MiWay bus at Aukland & Dundas then walks to the Kipling entrance. On item three of the agenda, entitled ‘Emerging Transit Plans’, page 4 shows a map called ‘Our Rapid Transit Network: Today’. On the map there is a short black connection made between the Main TTC subway station and the Go Danforth Station. To my recollection there is no physical connection between the two stations. You have to walk out on the street to get between the two stations. Is there some sort of tunnel planned? Steve: No. It is a walking connection, although some have fantasies of a tunnel. The cost could not be justified by the likely transfer volume. hello steve. I am curious to know about the report on the orion vii hybrid fleet. is the ttc changing their plans on the hybrid retirement or the hybrid retirement is still underway. the report says that the fleet of 544 hybrid buses should last 18 years. i thought 255 of them are retiring? Steve: The report refers to a design life, but it is uncertain whether all of them will make it that far. The earliest than an early retirement could start is 2019 (first deliveries in 2007 plus the 12 year minimum of the 12-15 year range cited). The whole issue of retirement ages for buses is a juggling act depending on vehicle conditions and the City’s ability to finance earlier bus purchases than would otherwise occur. Meanwhile, the buses have to be maintained, and this is a generic contract for parts. Together with planned headways about 50% wider than the 5′ originally claimed for ST, and with fewer stations, the demand distribution between the subway and ST is bound to shift. This has not yet been addressed. 50% is overly generous. Under the best scenario, average headway is 70% wider, and if the service is not interleaved, we can expect headways up to 15 minutes, or 200% wider. Without interleaving, demand distribution will look a lot more like the 15′ models than the 5′ models. Steve: There are times I take pity on SmartTrack advocates and understate just what a crock the whole thing is turning into. But, yes, the lack of blended headways between the two services will mean that there will be wide gaps that will not make ST an attractive alternative route to/from downtown. That, of course, even assumes there is a station where someone wants to board. Pretty pathetic statement by Brad Ross in regards to the 514 Cherry Car. Is that the best the TTC can do to solve the problems with late vehicles and poor service? Sad! Steve: I suspect part of the spin here is to dodge around the fact that originally the TTC said that the Cherry Street car would cost $0.8m in 2016 and $2.1m on a full year basis from 2017 onward in their budget. Now, miraculously, they can implement the service at zero net cost by reallocating existing service. This is precisely the kind of thing that undermines my faith in information presented to the TTC Board. Why wasn’t this brilliant idea floated last year during the budget debate? It’s a fairly obvious approach to the situation. One of the issues in planning for the Kennedy to STC subway run appears to be conflicts with infrastructure (Sewers, pipes, cables etc.). In London they went deep to avoid this conflict. Should this be a way of avoiding this issue here also with nothing but emergency exits to consider? Steve: Maybe, but I am sure there will be pressure to maintain provision for future stations at least at Lawrence. This is already a tricky location because of Highland Creek. Echoing what Gordon said going deep would eliminate the need for relocation of utilities. I know Sheppard is deep as anyone who has been to the stations there know (think Bayview and Don Mills) but how deep can they go without contravening fire code? I’m not talking Moscow subway here as we are not designing a system to be used if Pickering explodes but something deep enough to get under the utilities. 2-3 KM should be deep enough. The TTC ridership numbers are worrying – especially when other major cities worldwide are experiencing record numbers at present. In NYC, the average weekday subway ridership in October 2015 was 5.97 million people, the highest in more than four decades. Hopefully the rollout of PRESTO across the network (including tap outs) will deliver vast amounts of ridership data that can be analysed, so improvements and weak points can be found. The methodology behind the TTC’s counting is suspect. It is like trying to determine the amount of milk a cow produces by analyzing its excrement instead of measuring the volume of milk. A lot of organizations downtown have started implementing “flex work” environments – where workers can work (are encouraged) to work from home more often, Once we moved to that sort of work structure, lots of folks only commuted once a week as opposed to 5 days a week. This has to have had some effect.. probably more than Uber. The TTC ridership numbers are worrying – especially when other major cities worldwide are experiencing record numbers at present. In NYC, the average weekday subway ridership in October 2015 was 5.97 million people, the highest in more than four decades. Hang on. Apples to apples. Total TTC ridership growth was flat, however subway ridership in 2015 was up 4% from 2014 to 228 million – a new record. What’s interesting is the drop in streetcar and bus traffic. One of the issues in planning for the Kennedy to STC subway run appears to be conflicts with [linear] infrastructure. In London they went deep to avoid this conflict. Should this be a way of avoiding this issue here also with nothing but emergency exits to consider? London went deep due to the high risk of unknown tunnels, basements, etc. The higher cost of going deep was balanced (theoretically) by eliminating this risk. In Toronto, we have a much better documentation of utility history and very little ad hoc, undocumented tunneling. Our balance of risks on a much shallower system is much lower. For example, you can roughly assume 1m road structure + 2m utilities, 5m underpass clearance, 1m road structure + 2m utilities for 10m nominal depth. Add to that your tunnel bore plus a stability cushion, and you’re in the range of 16-30m deep. How deep can they go without contravening fire code? In theory, there isn’t a maximum depth to the fire code, so long as sufficient exit routes are provided. However, at 2km deep, the ambient temperature is 42°C, so you’re have huge A/C costs unless you’re setting up the subway to be a geothermal heating system for Scarborough. I’d prefer something more along the lines of 800-900m deep for a balmy 20°C-23°C. Beyond all that, you’d be looking at something like a 30% gradient between Kennedy and STC. It’s one thing to suggest a deep new line vs. a deep line extension. Steve: The LRT station at the University of Alberta in Edmonton is 23m underground. In my younger days, I climbed up the stairs during a construction tour, but I certainly would not want to be doing this today, especially in an emergency. The stairwell is divided with intermediate doors so that it is not just one long chimney. The CN Tower is 553m high. I think people might complain about inconvenient transfer connections to a 900m deep station, although there are times I think that’s just what certain trolls in Scarborough deserve. London went deep, because that’s where the clay layer is, that’s easy to tunnel in – especially when they did it by hand. Not sure why people are making up theories – it’s been discussed for decades. It’s only a small budget shortfall and another fare increase will suffice. This is totally incorrect. London actually has had proper city-planning maps of underground features longer than any other city I can think of. They knew exactly what was at what depth. The initial deep tube routes were under the Thames. The subsequent ones were constructed deep in order to avoid having to relocate all the *known* underground infrastructure. The sewerage system had been constructed starting in 1849 — so there was a lot of underground infrastructure when the first deep Tube lines were proposed in the 1890s. This was a very different situation from the cut-and-cover “subsurface” lines which largely predated or were built at the same time as the sewers. This is the same reason we tend to build deep lines today — to avoid relocating lots of existing underground infrastructure, such as sewers, water lines, underground utility lines, or even other underground train lines. With the extension of the A/CLRV rebuild program, will the rehabilitated trams be fitted with pantos? Steve: I doubt it. There is no mention of this in the report. London does have a good history of record keeping, when a project is actually registered. However, the 1820s and 30s had a lot of failed attempts to tunnel the Thames and other inventive projects. The cost of alterning known linear infrastructure at similar depths is part of the cost comparison, but as the project expands in scope, so do the risks of unknown complications. A sizable portion of the London Underground was built cut-and-cover as “neighbourhood improvement” or slum clearing projects. The choice to go deep was based on many factors, including known knowns and known unknowns. 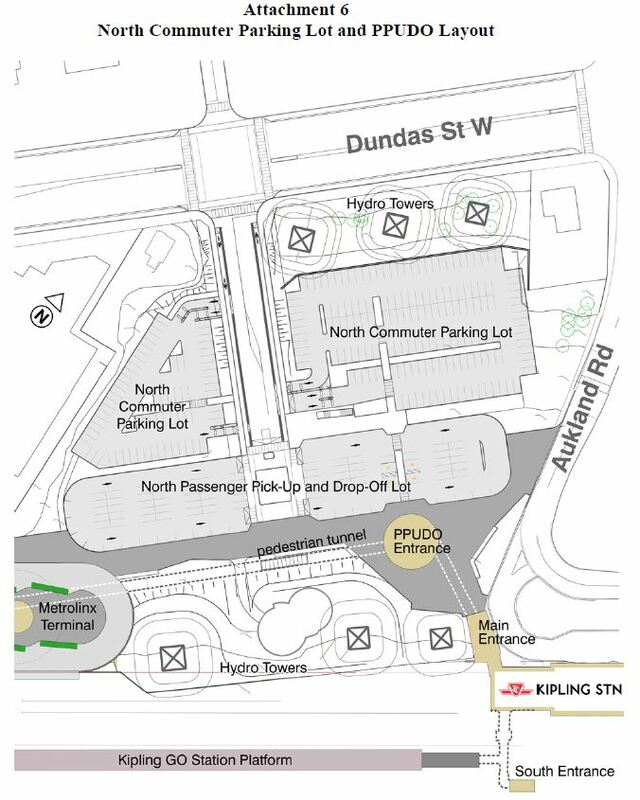 With Miway already servicing many of the “interregional” destinations in Mississauga I can think of, I wonder what the point is of the new Kipling terminal and why Metrolinx has a finger in it. If they are willing to spend millions on a new terminal they could kick a few dollars towards a mississauga-ttc transfer subsidy. From my experience transit at and across Mississauga-Toronto border has improved significantly in the past ~10 years without GO’s help. I don’t see what a pricy go bus will get us that a miway express can’t. I will miss the Islington terminal including the bakery in the bus concourse. Steve – no discussion on the “Fitness for Duty” issue surrounding “Random Drug and Alcohol Testing”?? This issue is currently in the arbitration process and the Board and TTC Executive want to do an end run around arbitration? Steve: This would have been discussed in private session because it is a personnel issue. No way to tell what the subject of this item was, but the timing suggests management was updating the board on plans to roll out the already-approved policy.